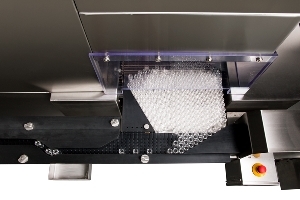 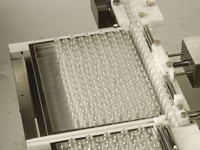 If vial collection is required, SP PennTech has customized trayloaders for your application and your tray format. 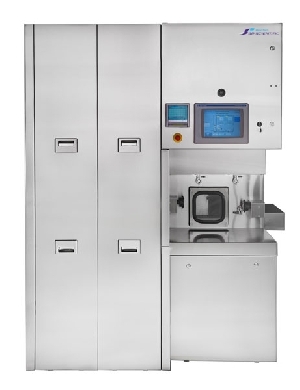 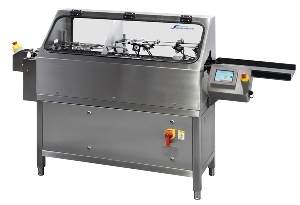 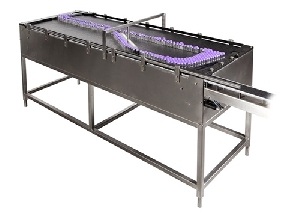 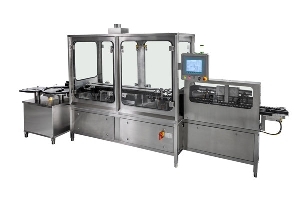 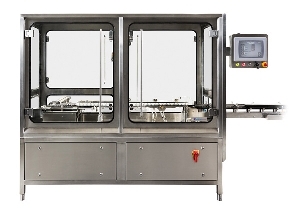 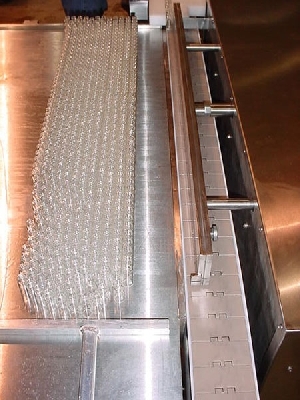 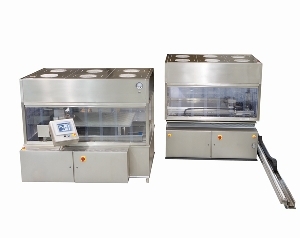 They offer a single trayloader up to 200 vials/minute or a dual trayloader up to 400 vials/ minute with a vial range from 2-500ml vials/bottles. 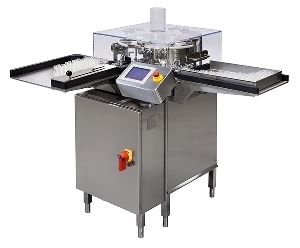 No format/change parts are required. 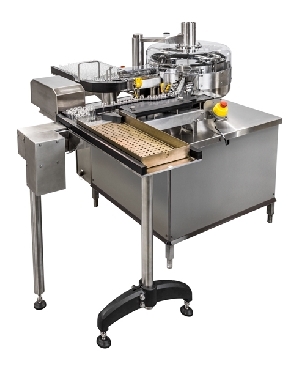 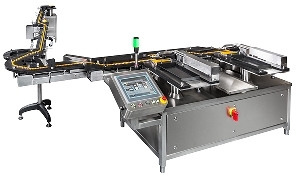 The trayloaders are menu-driven with a PLC-assisted changeover and feature automatic nesting. 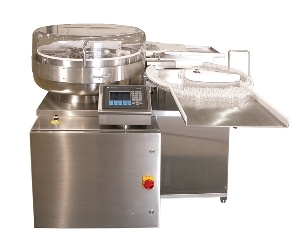 Dimensions 208x112x95cm vial running surface 85-95cm Purpose Designed to collect vials for your..
Dimensions 297.5x112x95cm vial running surface 85-95cm Purpose Designed to collect vials for your..
Dimensions 297.5x97x100cm vial running surface 85-95cm Purpose Designed to collect vials for your..